She is wearing a floral bodysuit with matching maxi granny skirt and pinafore with eyelet. Visit our store for more and more Barbies and clothing to come, plus many more items. 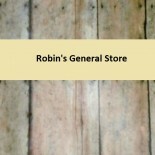 This entry was posted on October 17, 2018 by Robin's General Store in 1960s, collectibles, Uncategorized and tagged 1960s, Barbie Clothing, BARBIE DOLLS, collectibles, DOLLS, Skipper, vintage, vintage toys.